Among the variety of choices in materials for countertops, granite consistently stands out in the minds of homeowners and designers. 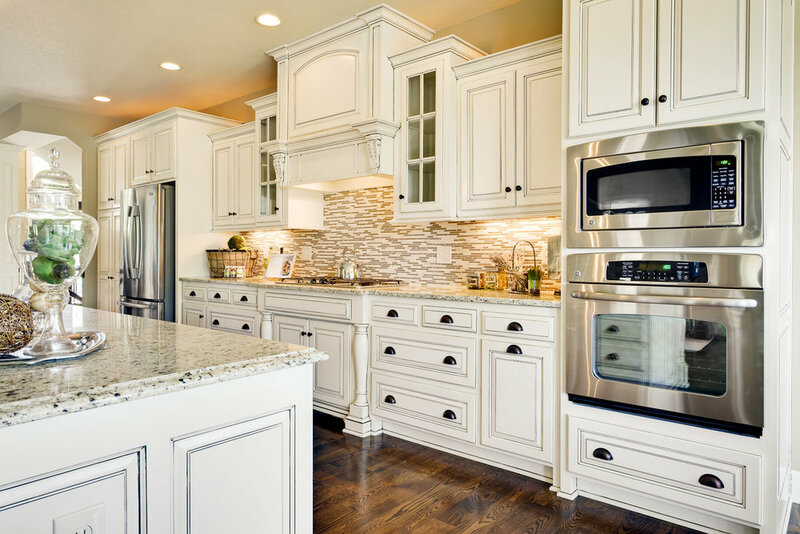 Granite countertops can seem like a luxury compared to laminate or solid surfacing counters. However, for the discerning homeowner and the kitchen aficionado, there are plenty of merits that make granite a popular installation. Granite’s natural durability makes it exceptional for the busy kitchen. The stone’s heat resistance makes it safe to put hot pots, pans, or utensils on the counter without fear of harming it. It’s also hard enough to withstand the cook’s working environment without scratches or chips. The hardness and heat resistance are improved further with proper sealer. Granite countertops also have a unique aesthetic; no two counters will look exactly the same as the patterns and textures in the grain vary dramatically between different forms of granite and even between samples of the same kind of granite. The right style can complement any kitchen design. Granite only looks more stunning still with a polish or matte finish; such finishes also make the counter more useful for preparing food on, too. Keeping granite clean after regular use is easy; dish soap and warm water goes a long way for maintenance. Coupled with yearly resealing and stone cleaners designed for granite, these countertops will look good as new for a long time to come. Moreover, granite’s colors don’t fade easily and resist mold and bacteria growth. With regular care, granite remains a glamorous addition to the kitchen and a significant factor in property value. While the installation can be a considerable expense upfront, granite countertops have the form and function to back it up. Homeowners know this, and the market for granite is profound and only grows every year. Granite installations may have already caught your eye, and you can be sure they’ll catch others’ eyes as well.